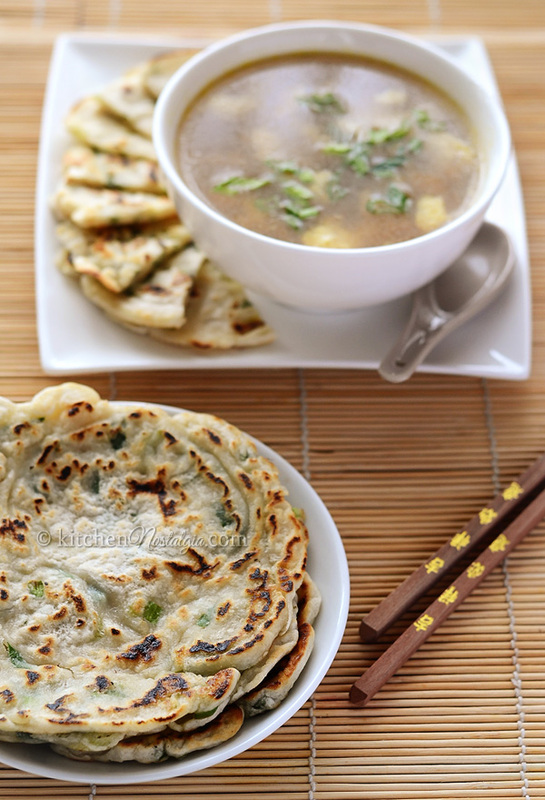 Chinese Scallion Pancakes are super tasty side dish to any soup. They can be eaten on their own accompanied with some sauce, as well. Traditional recipe requires long kneading and shaping of the dough which is quite tiresome and takes some time. That is why Elaine from China Sichuan Food blog came up with a simplified version of this tasty recipe. She made pancake batter with flour and water, added a liberal amount of salt and chopped scallions and fried them in a pan. 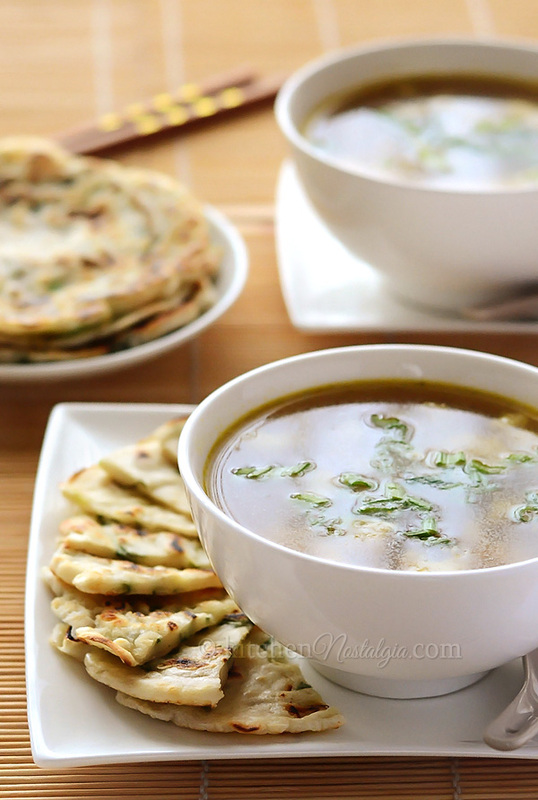 This very easy way to make Scallion Pancakes comes handy whenever you need to quickly serve a satisfying meal to your family. 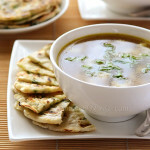 Serve Easy Scallion Pancakes for breakfast with a bowl of hot Egg Drop Soup or your favorite dipping sauce. Mix flour and water until there are no lumps any more. Set aside. Chop scallions. Add them, together with salt, to the batter. Heat oil in a pan. Pour batter into the pan and swirl around until the batter is evenly distributed. Fry for 2-4 minutes on each side. Great, this is the most common Chinese breakfast! 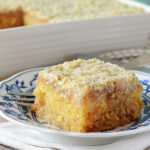 I love making quick breads to serve with meals and this went perfect with the egg drop soup. 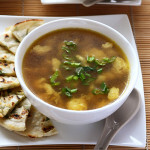 Ilove making quick breads and the scallion pancakes went perfect with the egg drop soup.